BEIJING — The Chinese government plans to expand the country's high-speed rail network to 30,000 kilometers (18,600 miles) by 2020, part of public infrastructure spending aimed at shoring up economic growth. The network would connect more than 80 percent of China's major cities, Vice Transport Minister Yang Yudong said. 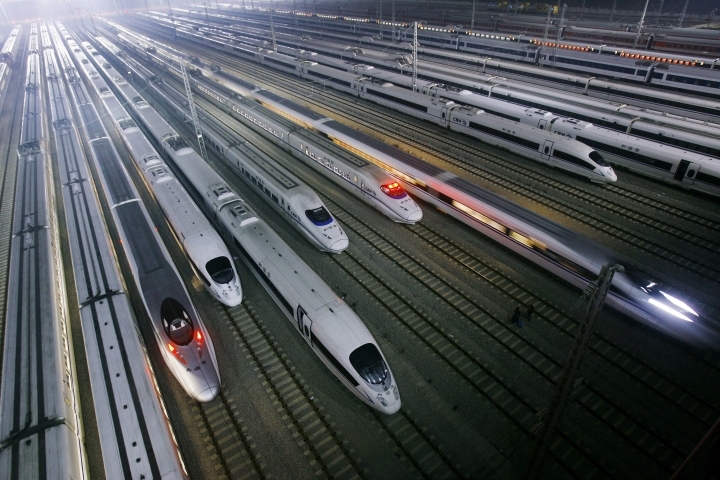 Last year, China's high-speed railway totaled 19,000 kilometers (11,800 miles). Overall, China plans to invest 3.5 trillion yuan ($504 billion) in railway construction between this year and 2020, Yang said. He was speaking at a briefing introducing plans to improve the country's transportation services.